Clean Room Compliant! CERTIFIED Outgassing Free! Carbon Free for ULTIMATE cleanliness! 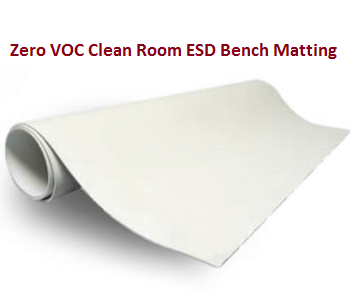 Ultimat CR White is an industrial grade ESD control matting made for use in clean rooms and designed for use on tables, workbenches and carts. Its electrical properties are volume dissipative (unlike many of the surface dissipative properties of the competition). Ultimat CR White is chemically cross-linked throughout the entire thickness of the material providing permanent volume esd conductivity in combination with polymers that will not outgas and contaminate products in clean rooms and other sensitive environments. It's as durable as rigid laminates and as comfortable and appealing as the softer table mats. This material contains no carbon interlayer it is not recommended for use with continuous esd mat monitors. 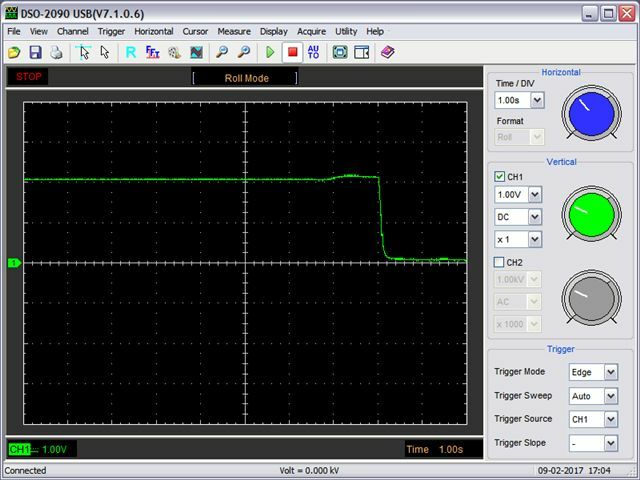 Fast COMPLETE Charge Decay, 2.000 Volts to Zero in .3 seconds! This material has outstanding charge dissipation, rapid charge decay, no charge suppression and outstanding low tribo generation properties. The material will withstand solvents and soldering iron deformation. Ultimat CR will not curl and has excellent abrasion resistance. The lightly embossed surface texture reduces light glare and increases part slip resistance yet is easy to keep clean. Since the material is free from halogens, lead, arsenic, barium, heavy metals, phthalate plasticizers, vinyl monomer, asbestos, formaldehyde, antimony, chromium, cadmium, and other dangerous volatiles it may be used in environments where the elimination of out gassing and contamination is Critical. Ultimat CR is RoHS compliant. A full set of test results for out gassing and compatibility has been prepared by Galbraith Labs, K+S Labs, and Balasz Test Labs - feel free to contact us should you require these for your project. Recommended for use in environments with an rH of >38%.